Over the years I have invested heavily in product R&D building a wide assortment of new skills, and fostering a diverse background and understanding. These are some of the papers I have developed along my journey that I make freely available to help others along. 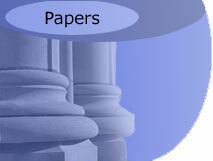 This paper is an introduction to HTTP Authentication introduced at the HTTP header level.